As the previous segment detailed, Windows 7 and Mac OS X 10.6 Snow Leopard aren't competing directly; instead, each is part of competitive strategy to either grow the Mac user base at Microsoft's expense, as Apple has been doing, or in Microsoft's case, to stop the hemorrhaging market share losses and reclaim leadership of desktop operating system development. How big is Windows 7? Microsoft's goal with Windows 7 is to lift Vista's derailed train and put it back on the tracks. 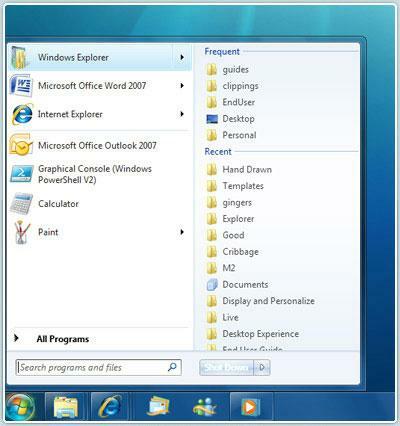 Windows 7 itself is internally called Windows 6.1, essentially Vista Service Pack 2 (Microsoft is also preparing a scaled down Vista SP2 for delivery shortly before Windows 7 is released). Microsoft's executives have made no secret of the fact that Windows 7 is an incremental improvement to Windows Vista, with CEO Steve Ballmer calling it "Windows Vista, a lot better," and saying, "Windows 7 is Windows Vista with cleanup in user interface [and] improvements in performance." Mike Nash, Microsoft's vice president of Windows product management, called Windows 7 "evolutionary" but also a "significant" improvement upon Vista. The company has oscillated between describing it as either a major or minor release, depending on who the intended audience was. In October, Computerworld wrote that at the release of Vista, the company's roadmap suggested a series of alternating releases between major new operating system developments (like Vista) every four years, and minor updates in between. 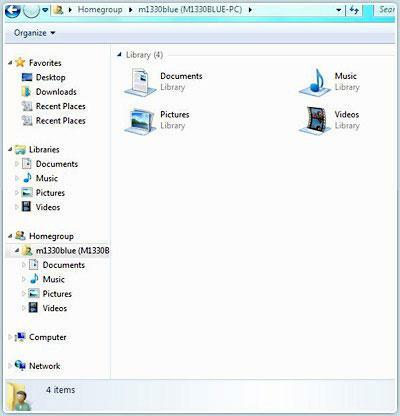 To impress downloaders of the Windows 7 public beta, Microsoft has numbered the release 7000.0. It also refers to Windows 7 as a monumental release, and of course, the "best Windows ever." However, it would be hard to imagine Microsoft (or Apple) releasing a new version of its operating system and saying it was not quite as good as the previous one. Before Microsoft had released any real details on the new operating system, some fan sites initially described Windows 7 as being "completely rewritten from the ground up," thinking that a massive rewrite was exactly what Microsoft needed to get around the problems associated with Vista. However, an actual rewrite would really just create massive new compatibility problems, just as the company discovered during the years of development delays that plagued Longhorn and Vista. It would also take a very long time, and time isn't on Microsoft's side. In 2007, the company set a goal of getting Windows 7 to market within three years, and now the company is pushing to get it out well within the year. Part of this effort is to remove the market-tainted Vista brand and bury the bad press that the company first tried to ignore, then attempted to deny with the Mojave Experiment, then cover over with feel good advertising in the Seinfeld campaign, and finally to distance itself from in the "I'm not a Mac, just a generic PC" ads. Microsoft is now pulling out all the stops to get early positive reviews of Windows 7, but it also used the same strategies to push Vista two years ago: mailing free, fast hardware to reviewers; offering a public beta to get early adopter enthusiasts talking about the new product; and full feature leaks from every pore (albeit subject to change). Both then and now, the early beta reviews were enthusiastic and optimistic. In part, that's because the public beta represents Windows 7 Ultimate, not the stripped down Home Basic version users will find on their new PCs from Costco and Walmart. 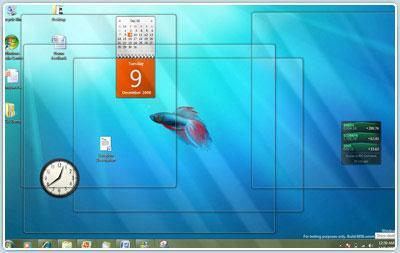 Borrowing a page from PETA, which attempted to refer to fish as "Sea Kittens" in order to change public perception, the new Windows Vista SP2 (or perhaps "Second Edition"), now called Windows 7, will both distance the new software release from the tarnished Vista name and enable Microsoft to charge a full update fee for it; the company typically delivers its service pack updates for free. Whether the new branding alone will actually help change people's minds still remains to be seen, but it's in stark contrast with Apple's new Mac OS X 10.6 Snow Leopard, which quite obviously builds upon the existing 10.5 Leopard brand. When Windows 7 arrives, it won't carry a long set of new features dreamed up inside Microsoft as Longhorn intended to do, but will instead aspire to meet the demands of users, particularly those who were disappointed by Vista. Microsoft is primarily focusing on making Windows 7 faster and easier to use, according to the company's early marketing. Previous features associated with Windows 7, including a "componentized" new architecture and the new "MinWin" kernel that Microsoft began talking about back in 2003, are now being pushed off into the distant future along with the relational database WinFS concept from Vista. Instead, Windows 7 will simply repackage today's Vista so that people will buy it without complaining. That means an interface refresh, reduced layers of nagging message popups, and basic performance enhancements. Unlike Apple, Microsoft doesn't have to convince users to buy its operating system; that happens automatically when they purchase a new PC. Microsoft only has to keep users from removing Windows 7 and backing down to Windows XP, which typically runs faster on the same hardware due to its lack of a sophisticated graphics compositing engine and the overhead it demands. Apple debuted its Quartz Graphics system in 2001, making translucency and shadows a differentiating feature for Macs. But when Vista brought similar graphics technology to the PC in 2007, users complained that the system demanded too much RAM and ate up too many processor cycles. In addition to Vista's higher demand for processing power Windows 7 will continue to use Vista's kernel too, which will carry forward the hardware driver issues that irritated many users and sent them back to the familiarity of XP. Microsoft has to herd more PC users into the latest version of Windows, not only so it can collect upgrade fees, but also so it can actively leverage its monopoly position to prevent competition in media players, browsers, search services, and other new emerging markets. If PC users stick with XP, they're also likely to stick with Google, Firefox, QuickTime, and other competing products rather than moving to Windows Live and the next version of Internet Explorer with Silverlight. To disassociate Windows 7 from the Vista brand, the new release will sport a subdued, simplified, more conservative appearance. One example of this is the new Taskbar, which sheds layers of complicated and inconsistent cruft accumulated since Windows 95 and now simply presents one icon per running application, similar to the Mac OS X Dock (below). When selected, the Taskbar application icon displays previews of each of the application's open windows, similar to using Mac OS X's Exposé, albeit with much smaller views of the app's open windows. Like the Mac OS X Dock, app icons can now be reordered in whatever position you want, although there's no obvious mechanism for resizing the Taskbar. The Taskbar handles half of the features of the Mac OS X Dock; actually launching an app or document still requires navigating the Start Menu. To speed things up, Windows 7 now gives users a recent and frequently used "Jump List" for each application (below). Jump Lists also appear when you right click on a running app's icon in the Taskbar, just like the Mac OS X Dock. Other new features include windows that resize automatically in response to what the system thinks you want to do; expand a window to the top of the screen and it jumps into a maximized view, assuming that's what you had in mind. Microsoft has also changed its "view desktop" feature, which hides all open windows, to one where the windows only become transparent, leaving behind outlines that semi-obscure the desktop being viewed (below). This is depicted as a significant new feature of Windows 7 on Microsoft's preview website. Microsoft is also borrowing a few other ideas from Leopard, including Web Clippings (Microsoft calls them "Web Slices"), Apple Data Detectors (which Microsoft calls "Accelerators"), Smart Folders (which lack Leopard's smart query functions, but are nonetheless called "Libraries"), and Apple's Bonjour-style simplified local networking and file and device sharing (which Microsoft refers to as "HomeGroup", pictured below). On page 2 of 2: Live Leverage; Streamlined device management; Out of Touch; and New: Less Vista.